Way back in 2010, there was little opportunity for self-published authors to promote their books. When Whizbuzz launched early in that year, Twitter was relatively new and struggling to find its feet. Whizbuzz started from small beginnings. Initially, it was only ever envisaged to be a site to promote my own books and those of a few of my fellow author friends. It stayed that way for a short time, though, as more authors asked if I could add their titles to the site. Whizbuzz accepted them all. There were no restrictions on genre, subject matter or even quality of writing. It was about accepting and celebrating the freedom of expression that self-publishing had enabled and lending a hand to my author friends. Back then social media book promotion was something new and often involved not much more than a one-off social media blast to promote a blog tour or a book launch. Whizbuzz was offering something different. It wanted to help Indie authors in their efforts to get discovered by readers by providing them with long-term social media promotion. More and more authors started to see the value and convenience in having their book continually promoted over a one-year period on Whizbuzz Books. Within a year, Whizbuzz had moved from its free Google Blogger platform to a self-hosted WordPress site. It was renamed Whizbuzz Books and was completely redesigned to include new functionality. As a result, SEO ranking improved and traffic increased dramatically. From the beginning, the adventure has involved a lot of invested time. However, in 2012, with the considerable costs involved in site development and hosting increasing, the need to charge for book promotion became necessary. Just Publishing Advice, developed in parallel with Whizbuzz Books, and as its name suggests, it delivers free self-publishing advice, tips and how to articles. Just Publishing Advice provides additional value to authors, or to whoever has an interest in writing and publishing. The two sites work hand in hand and have both become well known to authors and readers alike. Our social media follower count is always growing, and we now have more than 600,000 real followers on our various social accounts. Our followers include readers, reviewers, bloggers, authors, writers, journalists, librarians, literary agents, publishing houses, literary reviews, libraries and more. What we have built is a community of book lovers and people interested in writing and publishing. The size, loyalty, engagement and value of our audience certainly gives us a competitive advantage. Apart from social media, we are also working very hard on SEO optimisation for all book pages to attract organic search engine traffic from Google, Bing and Yahoo search to our authors’ books. So what is Whizbuzz Books today? Whizbuzz Books now has an extensive catalogue of books where readers can discover new talents. 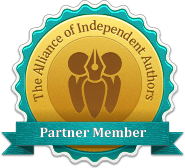 It is also an invaluable resource for book bloggers, book designers, editors, agents and publishers who seek to find new authors to partner. We accept all authors, genres and books. The only limit we have set is that we do not accept pornographic books; or books promoting hate, racism or violence. We provide both new and experienced authors, access to long-term book promotion targeting a broad audience. We offer book promotion at a very affordable and competitive price. In fact, the price has remained the same since 2012. After all these years, all we can say is that we are still open, and open to all.